A prolific carjacker who wore a balaclava and armed himself with a handgun has been jailed for almost 20 years after West Midlands Police linked him to string of attacks on women drivers. Mark Stokes, of Woodgate Valley, struck six times in the space of two days in Quinton and Harborne and left victims traumatised after threatening them with a handgun. 4th February 2018 – Northfield Road, Harborne – Forced a woman from her VW Scirocco and drove off. 5.30pm 5th February – Attempt to steal a woman’s Audi as she loaded shopping in the car park of Tesco’s in Ridgeacre Road, Quinton. 5th February (less than three hours later) – Tried taking a woman’s Mercedes A-Class in Faraday Avenue, Quinton. The handgun, believed to be a BB gun, was fired at the car’s window on that occasion. 6th February – Botched two further attempts within minutes of each other in War Lane and then Wolverhampton Road South in Harborne. 7th February – The Vectra was seized and a handbag – taken during the first robbery – and a balaclava were found inside and seized for forensic examination. 13th February – Stokes was arrested and questioned over the robberies; he remained silent and was released while investigators built a case against him. CCTV from a shop showed Stokes buying beer wearing and distinctive blue Adidas top identical to one worn by the offender. A Police dog handler found the top near the scene of the February 6 offences – When forensically examined, Stokes’ DNA was found on the top and also on the recovered balaclava. Extensive phone analysis also placed the carjacker at the scene of the offences. 14th June Stokes was re-arrested and questioned over two house rush robberies – in Harborne Park Road and Tennal Road on 17th and 31st May respectively – in which a BMW and VW Golf were stolen by two men who barged their way inside. 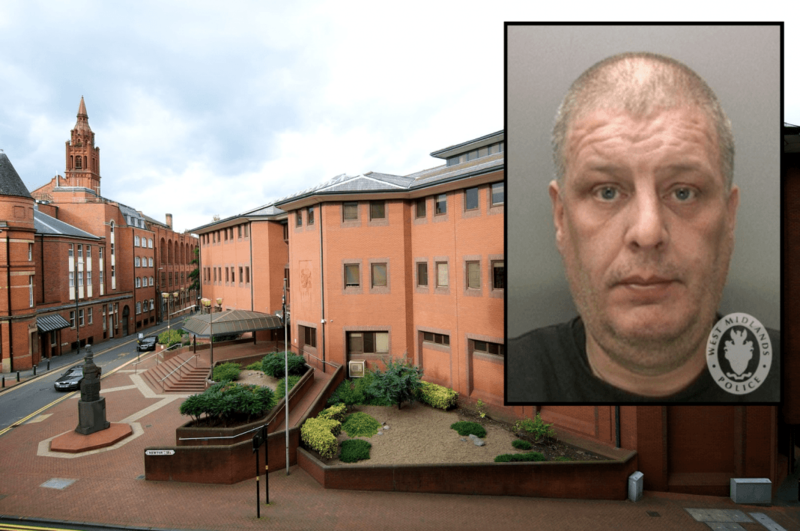 Forensics experts found Stokes’ saliva on a discarded cider can outside the Harborne Park Road address – and a stash of the same high-strength drinks cans were found at his home in Summerfield Road, Woodgate Valley. Stokes denied being involved in the offences but on Friday (18th Jan) was found guilty by a jury at Birmingham Crown Court and jailed for 18-and-a-half years. For advice on how to keep vehicles safe and how to protect yourself against car-jacking – please see West Midlands Police here. Enjoy prison and i hope you get the crap kicked out of you at regular intervals!